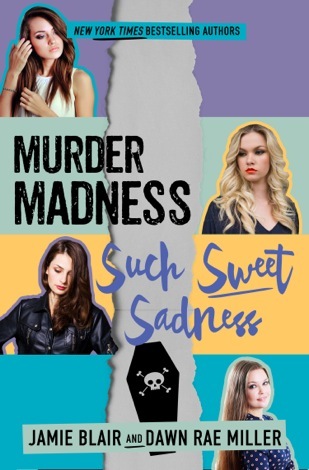 YA Bound Book Tours: Cover Reveal: Murder Madness Such Sweet Sadness by Jamie Blair & Dawn Rae Miller! Cover Reveal: Murder Madness Such Sweet Sadness by Jamie Blair & Dawn Rae Miller! Jamie Blair lives in Northeast Ohio with her husband, their two kids and a cat that broke into their house and refused to leave. She won a young author's contest in third grade, but it probably shouldn't count since her mom wrote most of her entry. LEAP OF FAITH is her first novel. She promises her mom didn't write one word of it.